The brewery is identified by a sign on the three story building. Several men with wagons and horses work at the front and side of the building where some large barrels can be seen. Title from drawing. 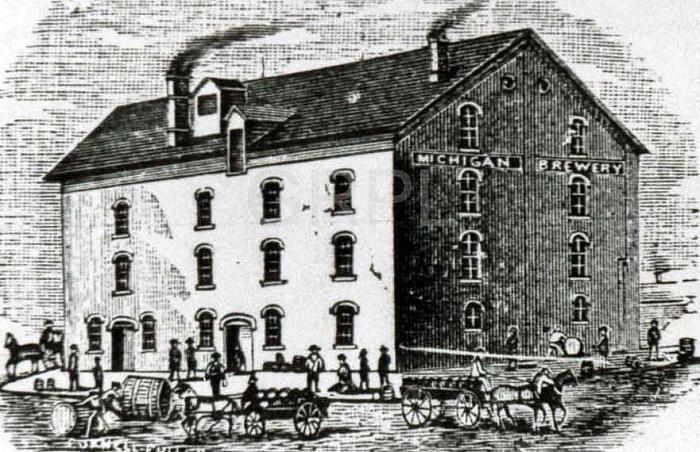 The Michigan Brewery was owned by Peter Weirich.